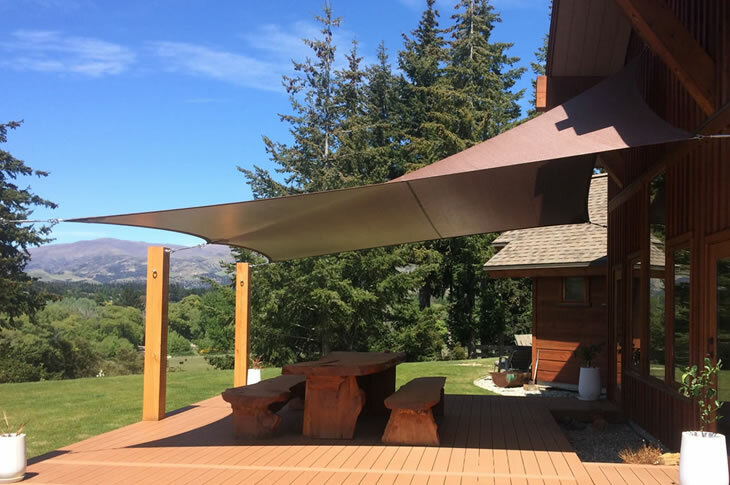 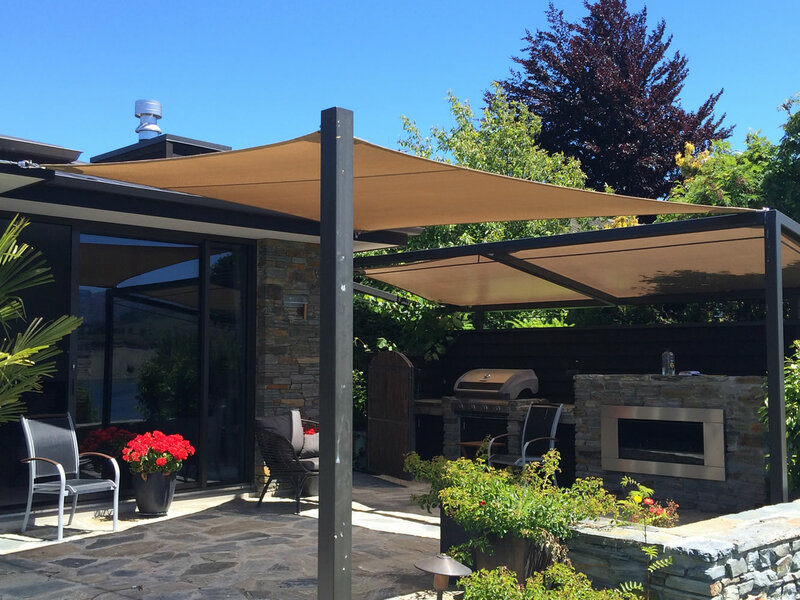 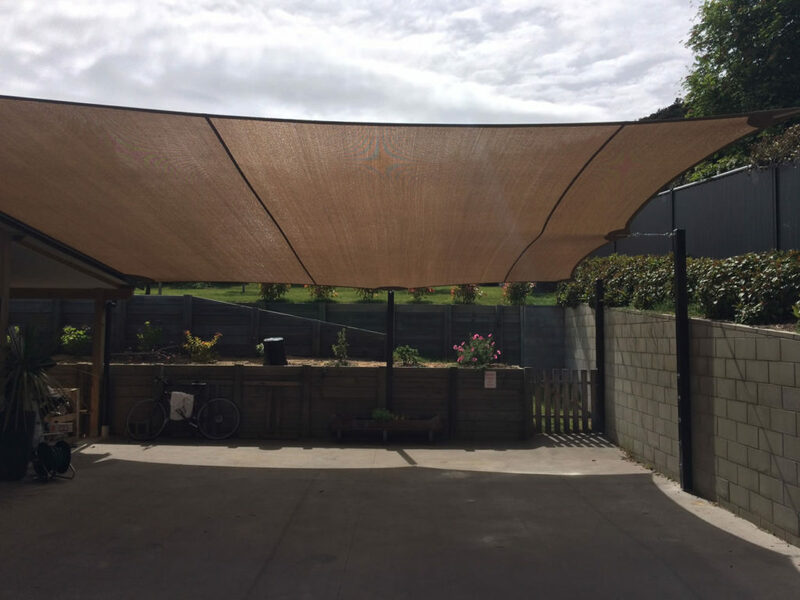 ShadeNZ offers custom solutions for all domestic and commercial shade requirements. 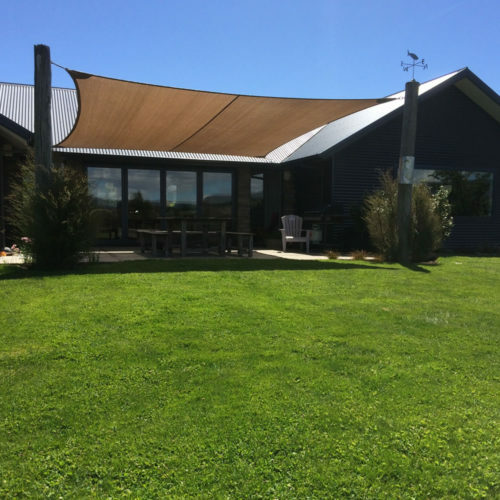 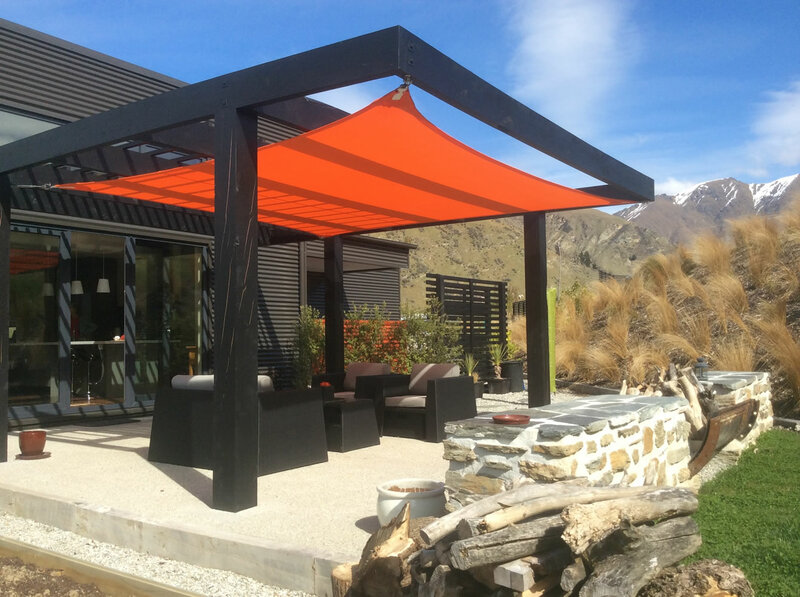 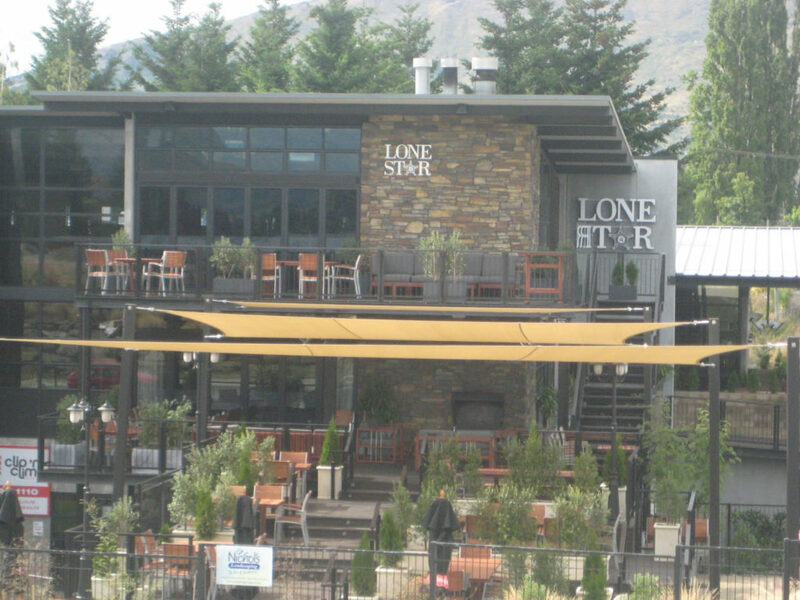 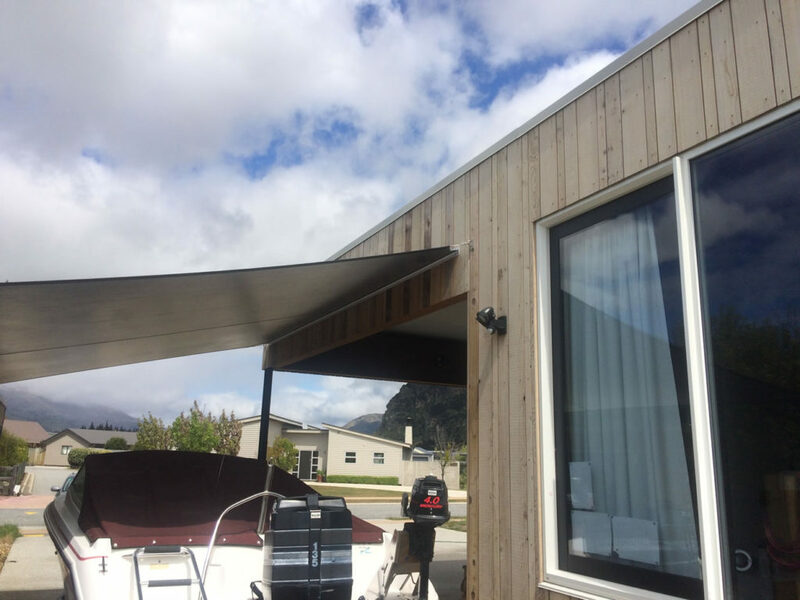 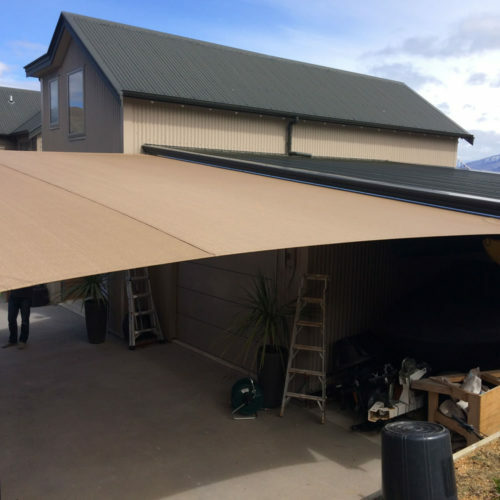 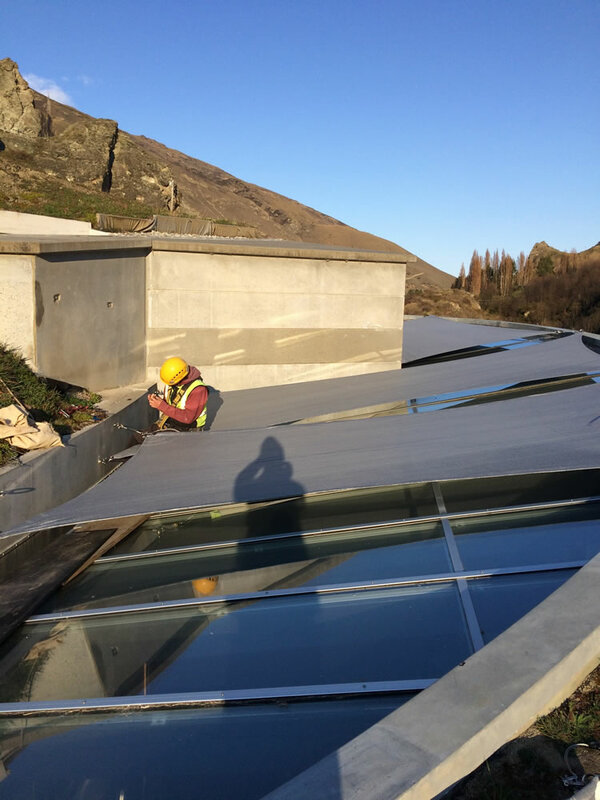 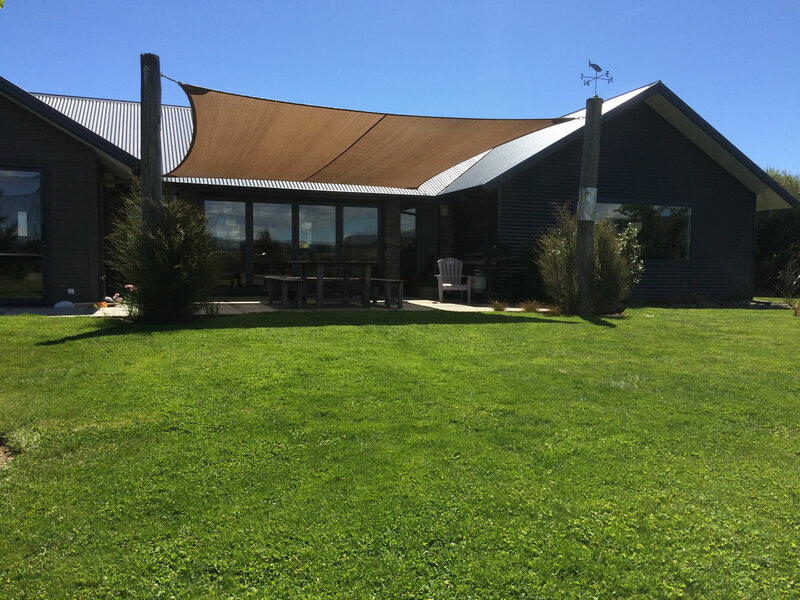 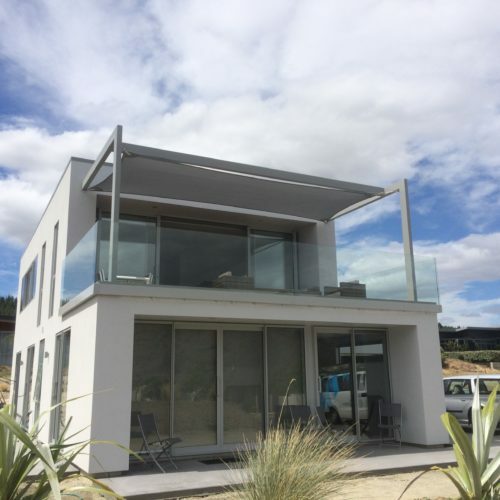 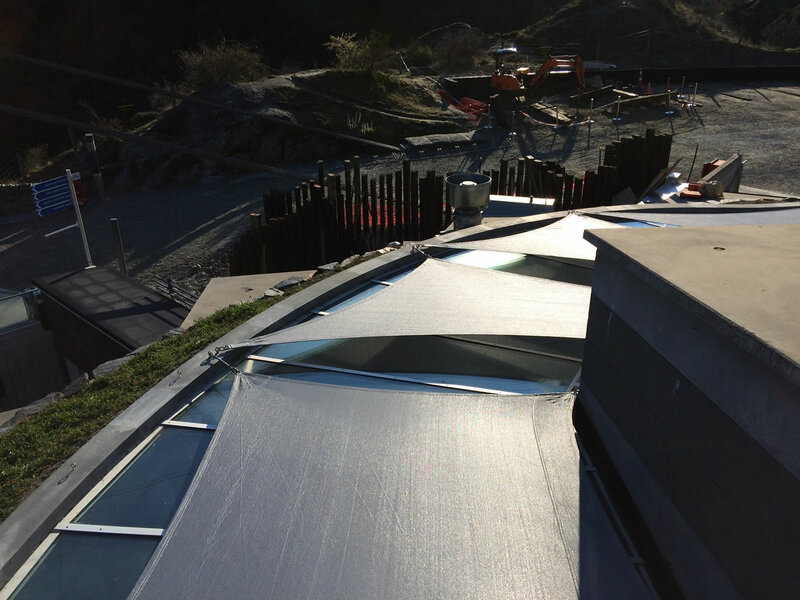 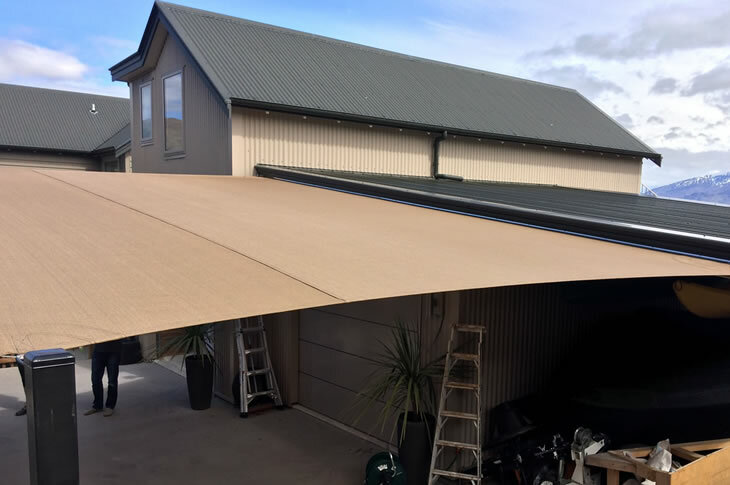 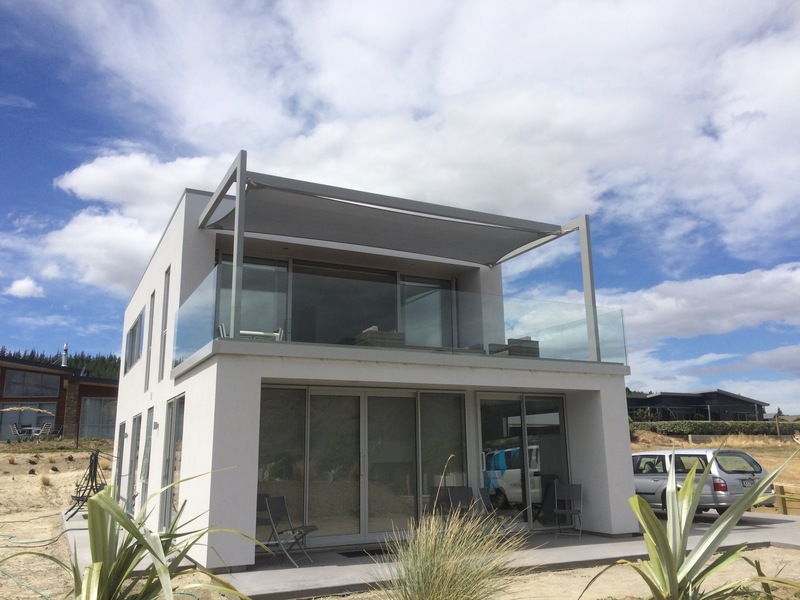 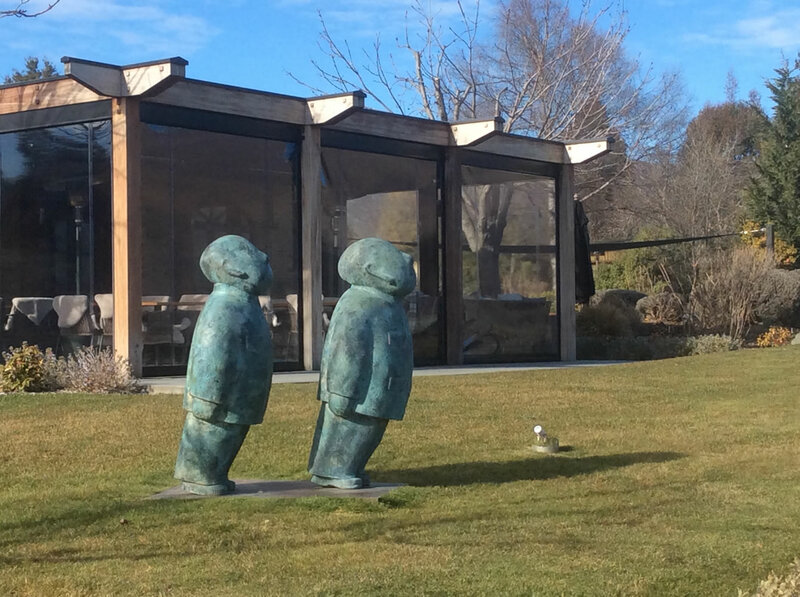 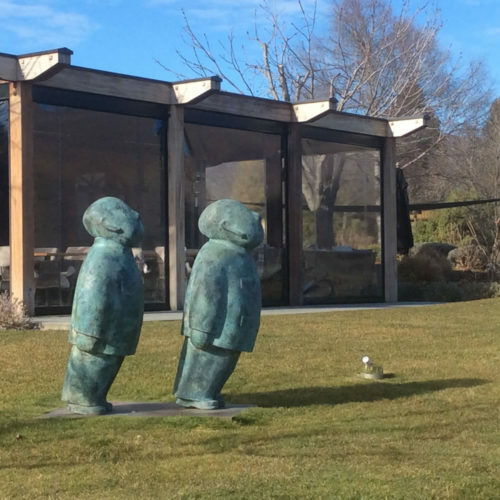 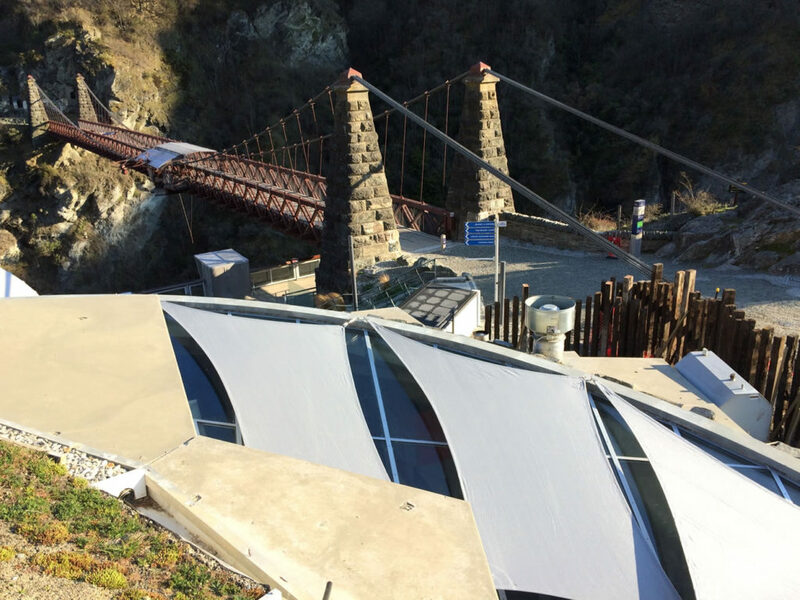 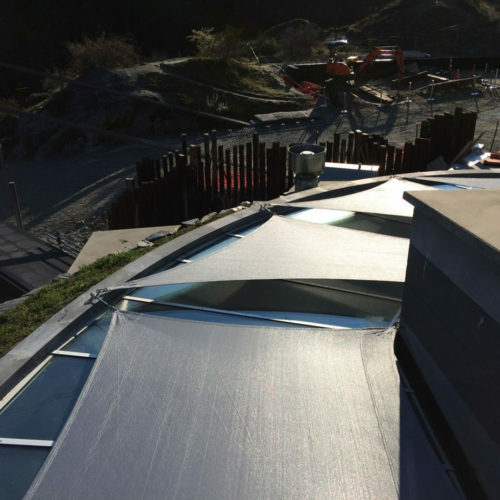 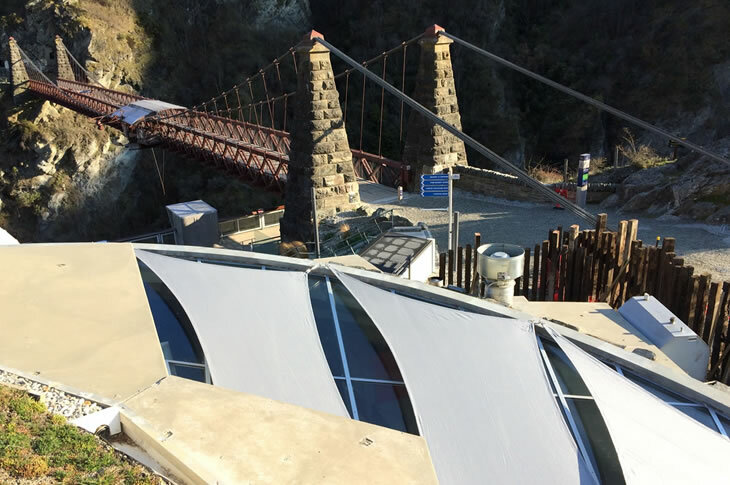 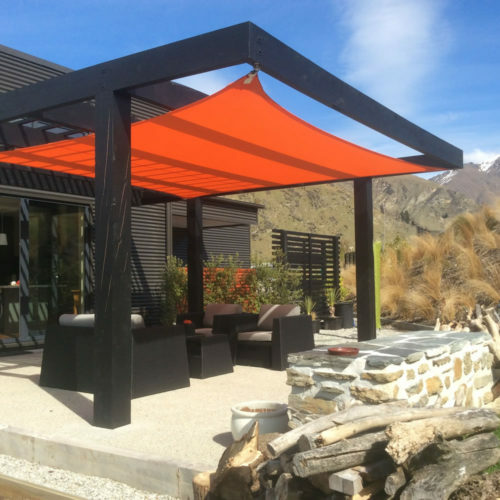 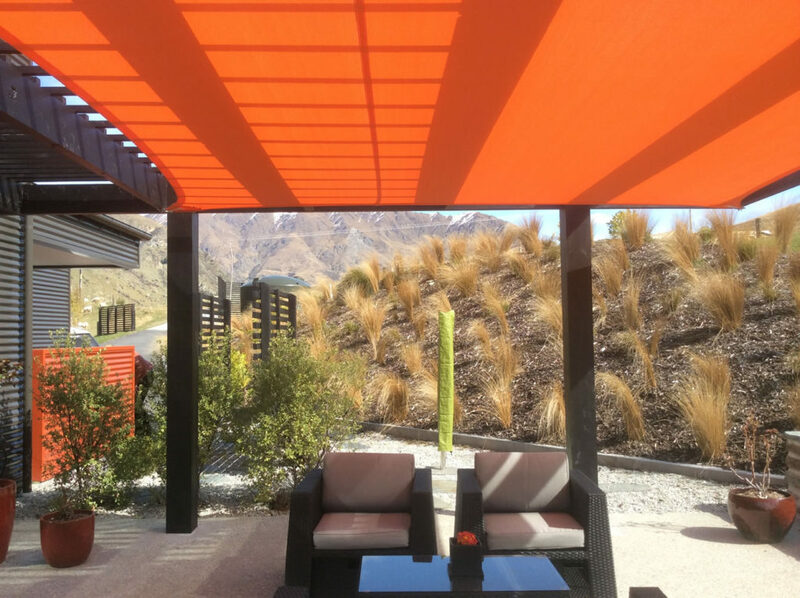 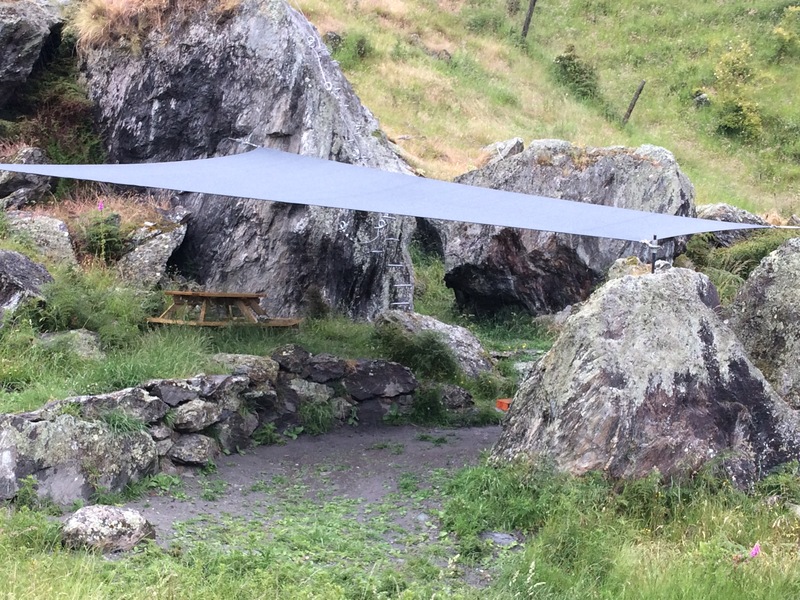 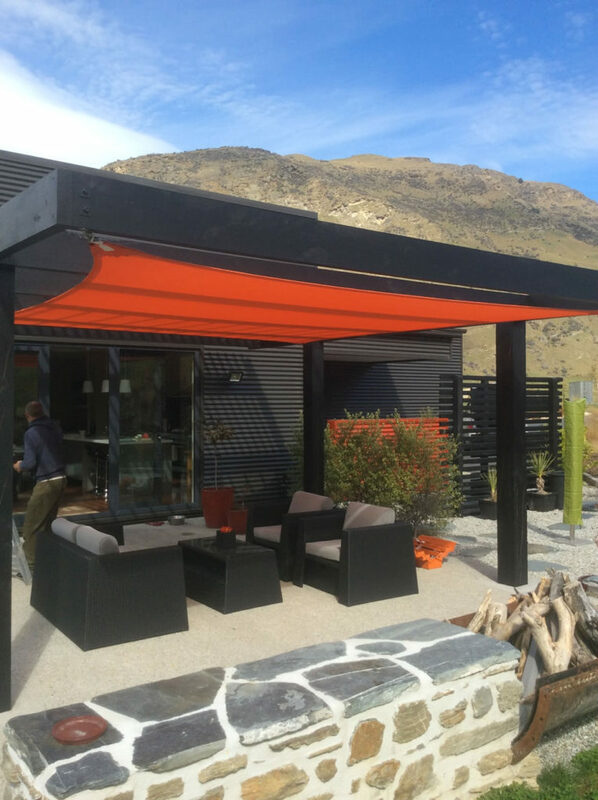 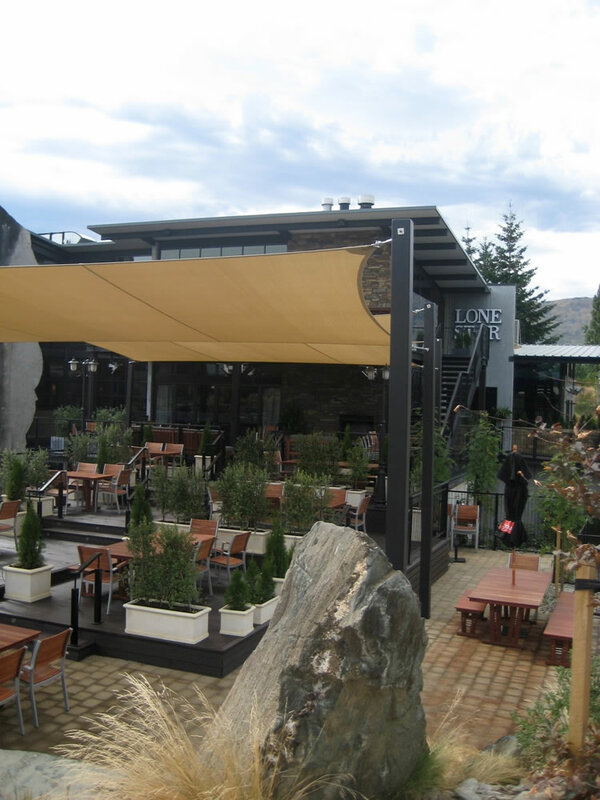 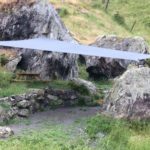 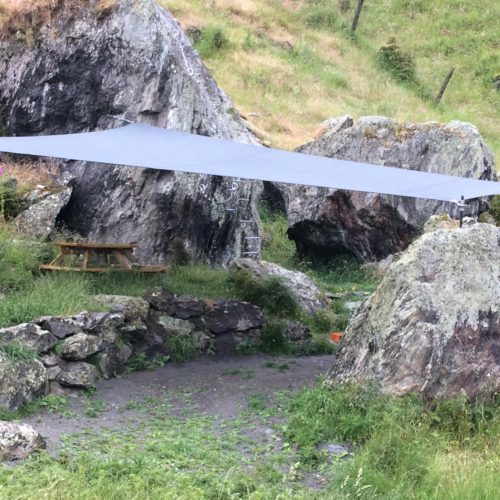 Using the best quality fabrics available and quality stainless steel fittings, designed to withstand the rigors of Central Otago’s harshest weather. Able to be fitted to virtually any situation, using custom hardware and sails cut to precise dimensions. 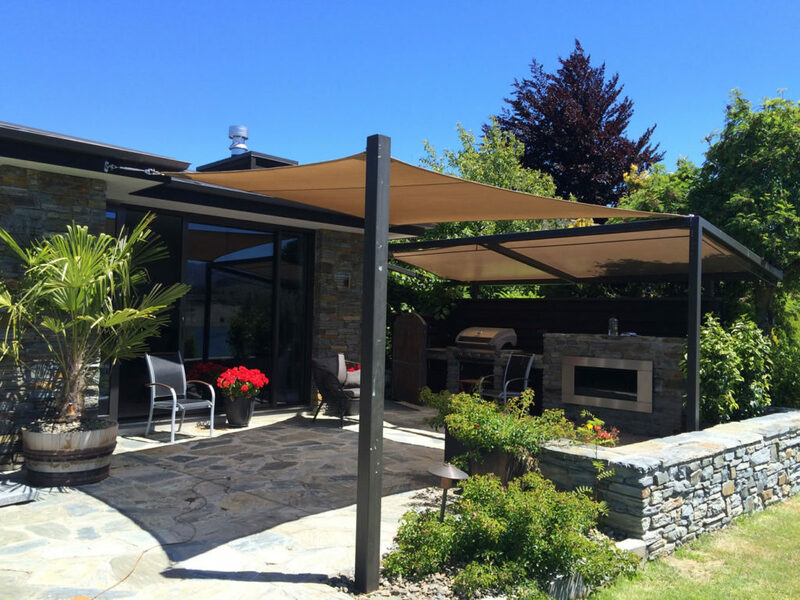 Enjoy your outdoor spaces this Summer. 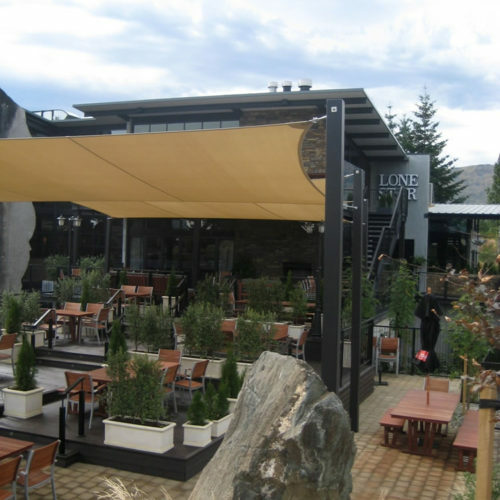 Enhance the value and functionality of your business environment. 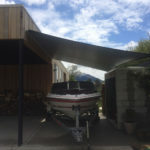 Cost effective storage for boats, cars etc. 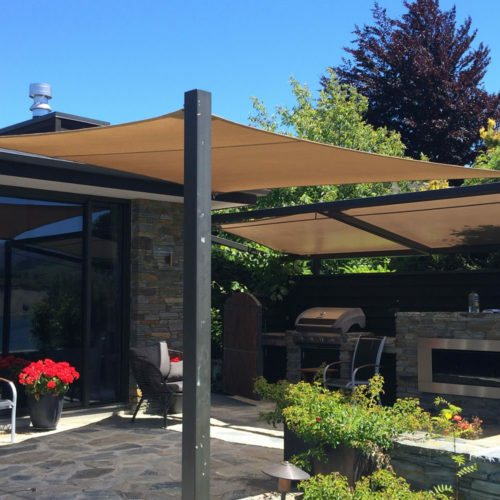 Drawing on over twenty years of fabrication experience ShadeNZ offers a versatility and uniqueness not matched by other construction methods. 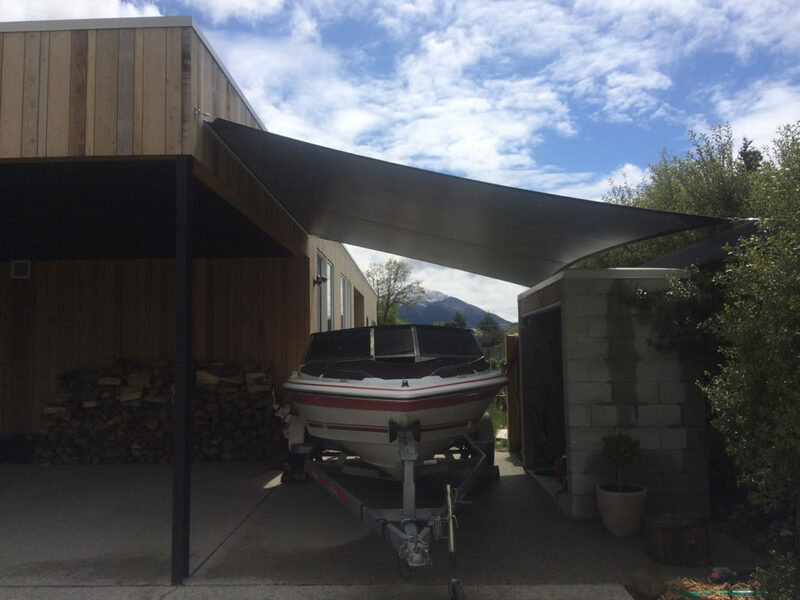 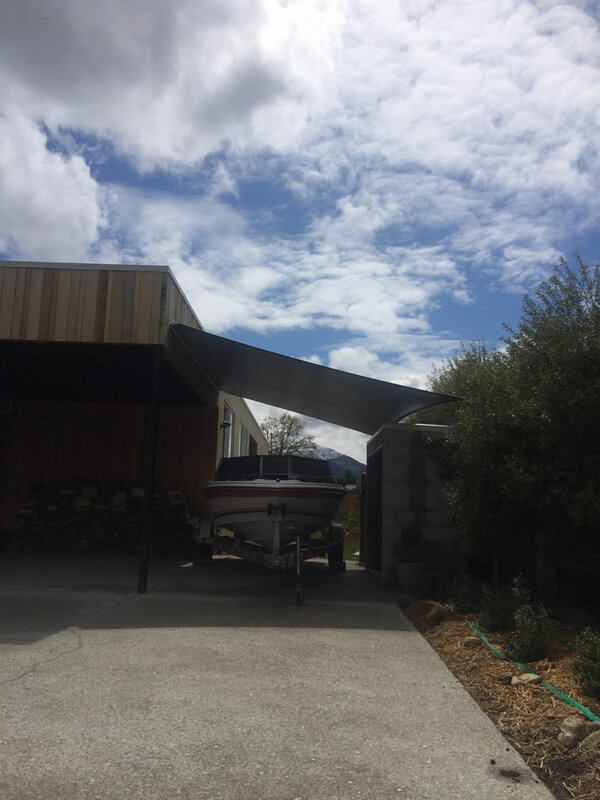 We can provide fully engineered fabricated steel structures and 100% water proof sails, where total protection is required. We carry a wide array of colors, styles, materials and hardware that will make your unique design become a reality. 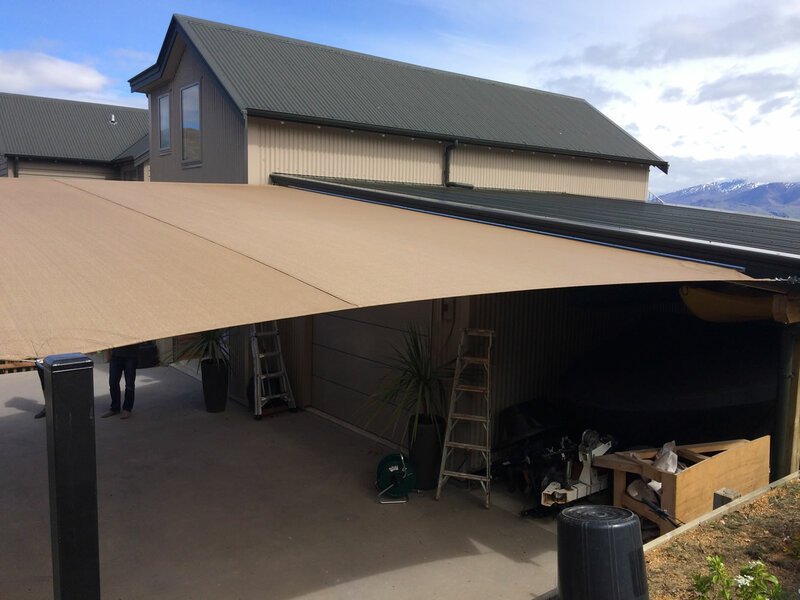 A permanent yet removable solution, allowing light in the winter months. 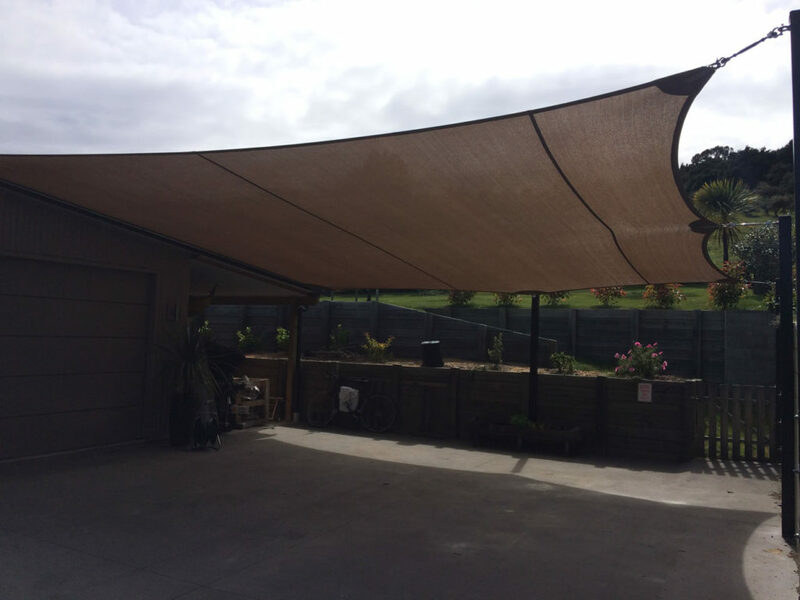 We can take care of everything, from the Shade Sail to digging holes for the posts. 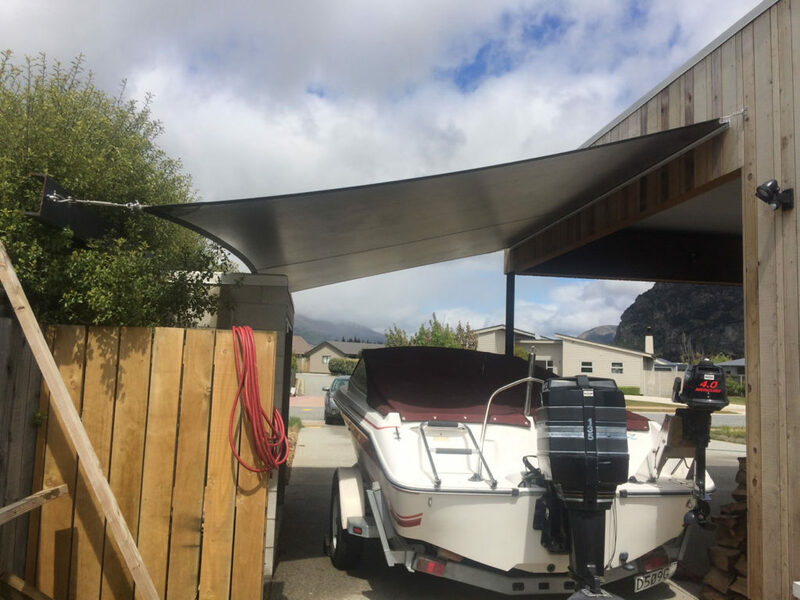 The equipment that holds your shade sail up is just as important as the sail itself.